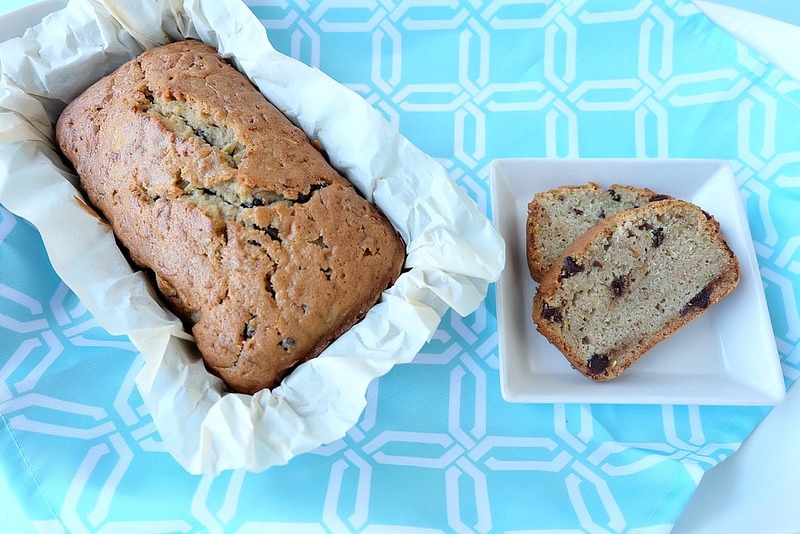 We’re not exaggerating when we say that this is the BEST Chocolate Chip Zucchini Bread Recipe you’ll ever taste! Give it a try and tell us if you agree! This family friendly recipe is one that we’ve been baking for years and we know that your family will love it just as much as ours does! Hi friends! Today I’m sharing with you my absolutely favorite recipe for zucchini bread. It’s one of my family’s favorite recipes that we’ve been making for years and years and years. I originally published this post 5 years ago and let’s just say… the photos were lacking. I’ve wanted to promote this recipe countless times on social media but rarely did because I wasn’t happy with the photos. Last week I had a couple of zucchinis that had started to wilt in my fridge and it seemed like the perfect opportunity to whip up a batch of zucchini bread. As soon as the bread was cool enough to eat my family tucked into the first loaf and devoured all but two pieces! I hid away those slices along with the second loaf of bread and first think the following morning took new photos of my mouth watering loaf! I’m so excited to get to update this post and start to share it with the world more often. So let’s talk about zucchini bread and why I love it so much. If you’ve ever planted zucchini plants you know that you end up with a ton of zucchini. Each summer we grow zucchinis in our garden the size of my forearm. What do you do with all of those massive zucchinis? Turn them into my famous chocolate chip zucchini bread recipe! Zucchinis are pretty widely available all year long making this a great recipe for not just the summer months but also fall, winter and spring! Zucchini bread freezes up great. Triple and quadruple this recipe, freeze extra loaves and then pull one out on Sunday night for delicious snacking all week long. It’s delicious. I honestly can’t tell you if I love my banana bread, pumpkin bread or zucchini bread recipe the most. They are all SO GOOD! 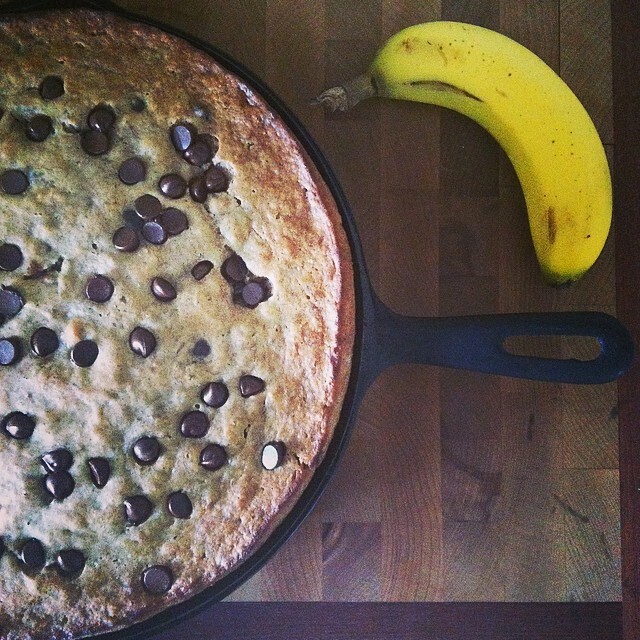 If you like banana bread, I promise you’ll like this. 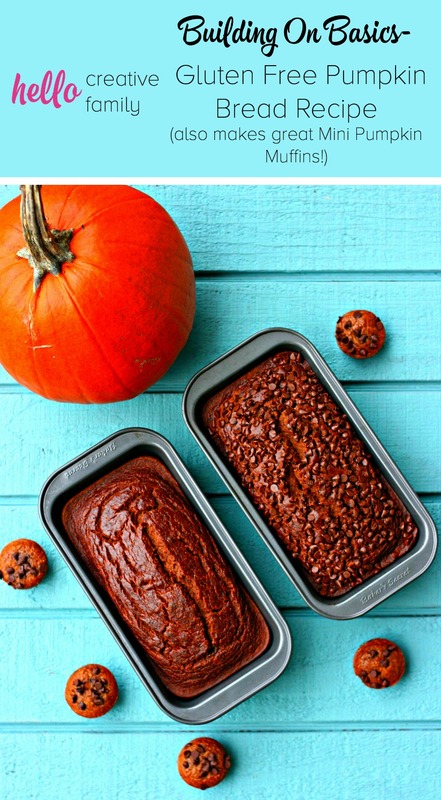 Likewise if you like this, make sure you check out my pumpkin loaf and banana bread recipes! I like keeping the recipe nice and simple. No nuts, orange peel, etc. For me the mixture of cinnamon and nutmeg combined with the chocolate chips makes this the perfect recipe. It’s such a nice flavor combination. 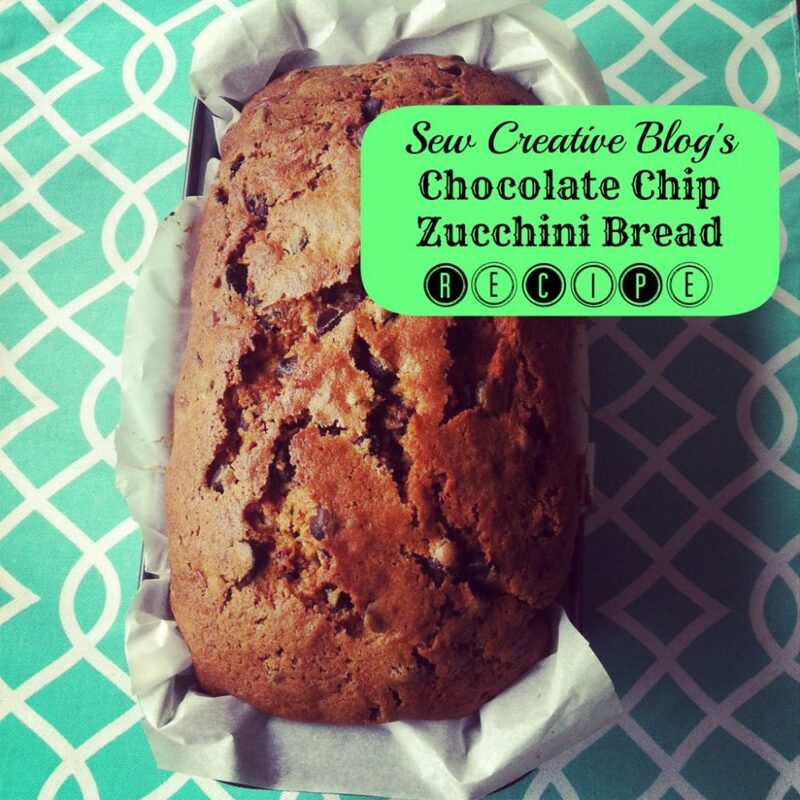 So pull out those zucchinis, get them grated and read on for my Chocolate Chip Zucchini Bread Recipe! Step 1: Preheat oven at 350 degrees F. Prepare 2 loaf pans. I do this by lining them with parchment paper (I like the ease of removing the loaves by just tugging on the parchment paper). Alternatively you could grease your pans. Step 2: Sift together flour, baking powder, salt, spices and baking soda. Step 3: In a large bowl, or in the bowl of your stand mixer, beat eggs until light and fluffy. Add sugar, and mix until well blended. Add oil, vanilla, zucchini and chocolate chips and mix. Step 4: A bit at a time stir in sifted ingredients. Mix until well incorporated. Step 5: Pour batter into prepared loaf pans.Bake for 50 minutes, or until a skewer inserted in the middle comes out clean. Remove loaves from pans and cool on a wire rack. 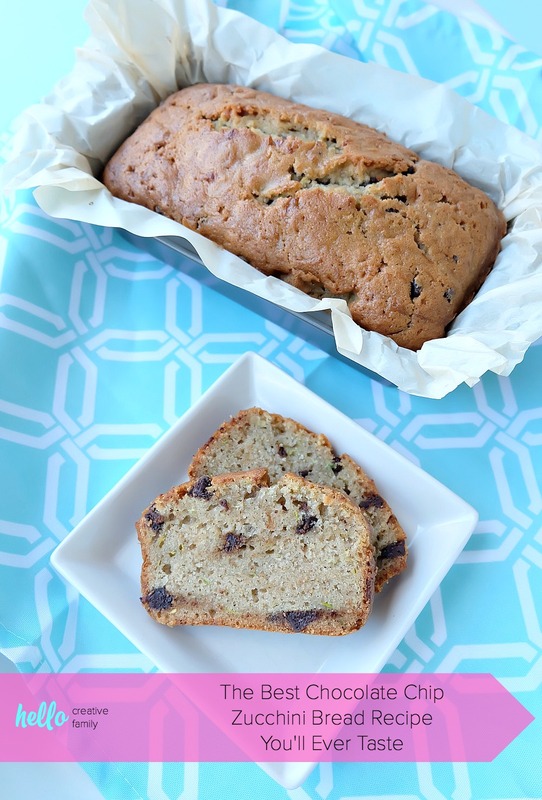 I hope you enjoy this chocolate chip zucchini bread recipe as much as my family does! Like this recipe? We’d love for you to pin it for later! Preheat oven at 350 degrees F. Prepare 2 loaf pans. I do this by lining them with parchment paper (I like the ease of removing the loaves by just tugging on the parchment paper). Alternatively you could grease your pans. In a large bowl, or in the bowl of your stand mixer, beat eggs until light and fluffy. Add sugar, and mix until well blended. Add oil, vanilla, zucchini and chocolate chips and mix. A bit at a time stir in sifted ingredients. Mix until well incorporated. Pour batter into prepared loaf pans.Bake for 50 minutes, or until a skewer inserted in the middle comes out clean. Remove loaves from pans and cool on a wire rack. Tell me… Do you have any baking recipes that you have been making for years? What are some of your favorite sweet treats to bake? 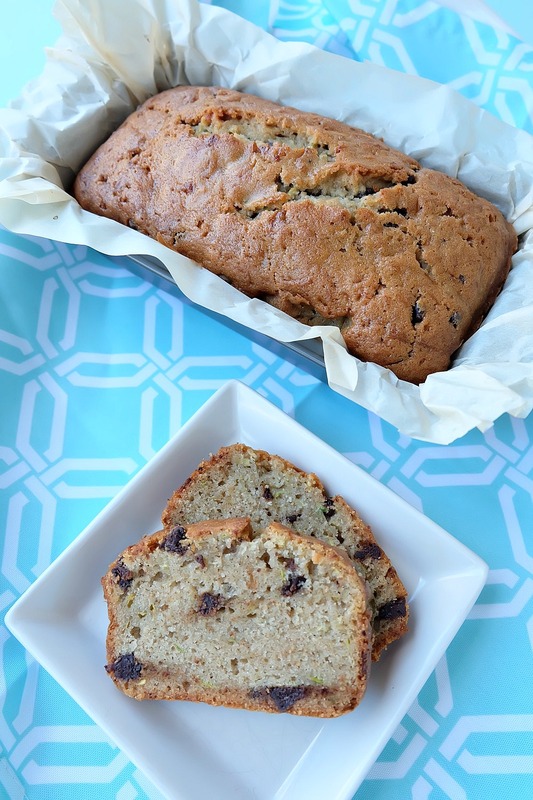 If you like zucchini bread make sure you check out these recipes too! « Caramel Apple No Bake Energy Bites Recipe- Nut Free, School Friendly! Healthy looking bread that is great to enjoy over the Holidays. Thank you for sharing the recipe! We tried it last week, it didn’t look as good as the one on your pictures, but the taste was amazing! Even my picky daughter ate it without asking a thousand questions about what’s in it. And it’s surprisingly easy to make, at first I got scared by the number of ingredients, but the actual preparation took a lot less than I thought. Thank you so much for letting me know that you tried it! I’m so glad that your daughter liked it! When my daughter was little she didn’t want to try it because she saw me putting “green stuff” into it. Then her friends came over and devoured theirs and so she tried it. She’s been hooked ever since. Her thing now though is that she doesn’t like cooked fruit so she won’t eat things like blueberry muffins. That’s my next hurdle.